The Perpetual Testing Initiative for Portal 2 was released as DLC on May 8th. 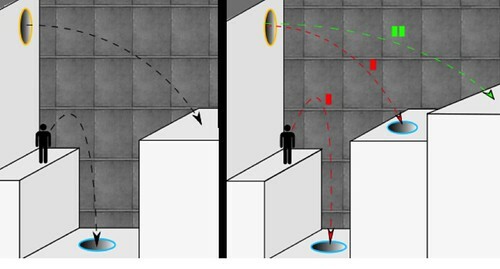 Originally, in order to create custom levels or maps for Portal 2, the Hammer Engine needed to be used – now Valve has put level creation into the hands of all with it’s simple to use in-game editor. Below is a map that I put together in about 5 minutes – granted it’s never going to win a prize for aesthetics or level of difficulty – but what it allows is rapid prototyping of ideas and for students to be engaged in iterative design where they design, test, modify, test, modify, get their peers to test, modify and so on. Essentially ‘flinging’ is using the properties of gravity, transferring energy from kinetic to potential and vice-versa, in order to build up enough momentum to traverse distances that would be normally impossible. In order to make high-quality maps, Hammer will still need to be used to apply textures and lighting effects (by importing your maps created into the SDK) – as this functionality in the in-game editor is quite limited. 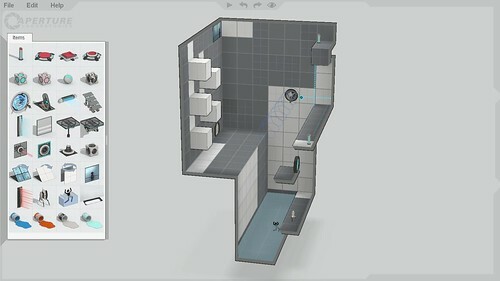 Overall though, it is excellent – if you haven’t yet played Portal 2 go buy it now – it’s only $6.99 on Steam.